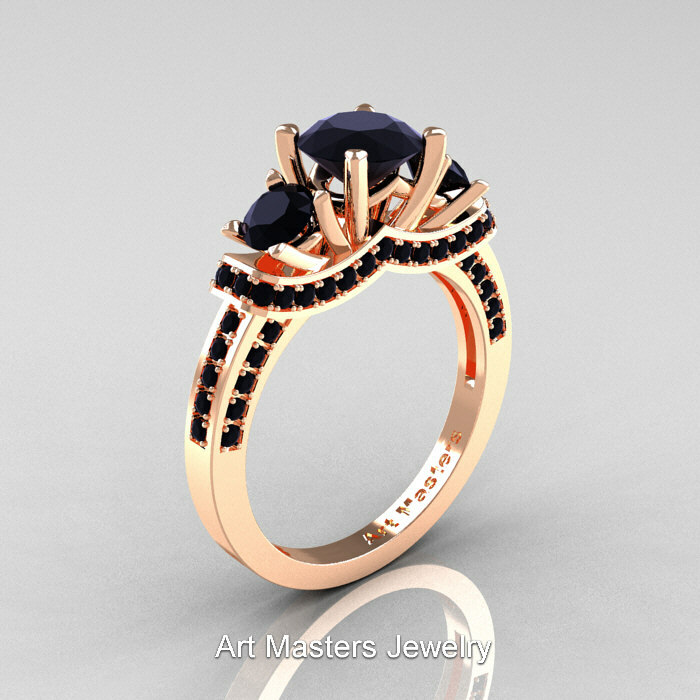 State of the Art, beautiful and chic, this French 14K Rose Gold 2.0 Ctw Three Stone Black Sapphire Engagement Ring R182-14KRGBLS by Art Masters Jewelry showcases superior style, beauty and elegance making this ring an excellent engagement ring or a great special gift for your loved one. 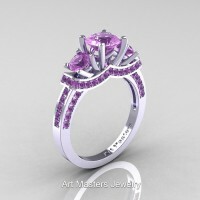 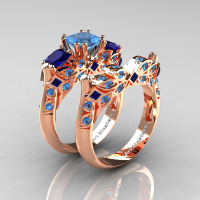 * Precious metal and gemstone measurements are approximate and may differ slightly. 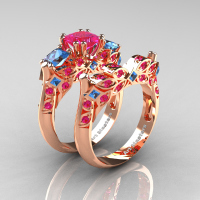 * Jewelry images are professional catalog renderings presented in digital 3d format and are not real photographs, colors may differ slightly from screen type and resolution. 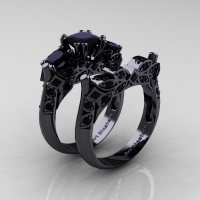 Be the first to review “Art Masters French 14K Rose Gold 2.0 Ctw Three Stone Black Sapphire Engagement Ring R182-14KRGBLS” Click here to cancel reply.